Come midnight Friday night The Hunger Games Catching Fire will be released on dvd, Eek! I am so excited. I love The Hunger Games trilogy, its in my top 3 trilogy's of all time. It is just that good. In honor of Katniss and her awesomeness I thought I'd celebrate with a little giveaway. 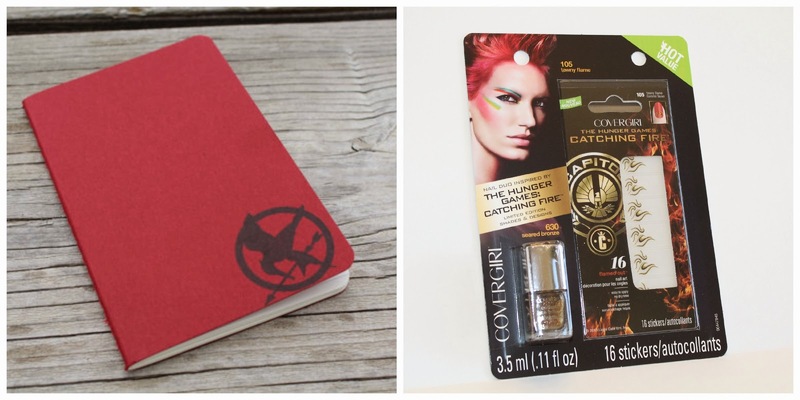 Covergirl teamed up with the Hunger Games franchise and made some very fun makeup items. For this giveaway I'm giving away one of the nail polishes and nail wraps. Along with a Mocking Jay journal. If you'd like to win please follow the directions below. Who or what is your favorite part of The Hunger Games? 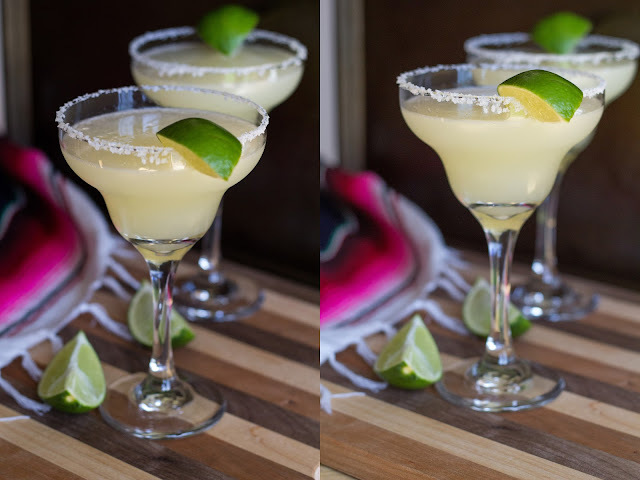 Leave a comment for each entry you complete. Don't leave it all in one comment or that will just count as one (1).Don't forget to leave your Email or Twitter name so I can contact you if ya win!. Open Worldwide, All ages. Winner will be posted on this page March 15th 2014 and will have 48hrs.to contact me. Hope you enjoy this giveaway & Good Luck! My favorite part of the hunger games is the part when they are in the arena. My favorite part was definitely all of the arena scenes! Peeta is my favorite. He was my favorite in the book too. Plus I loved the arena in Catching Fire. My favorite part of the Hunger Games is how inspirational Katniss is. She never gives up, she is constantly fighting for others & is so selfless. I love the costuming for the films as well. My favorite is Katniss. And my favorite part is when she volunteers to take her sister's part in the games, it's such an emotional part both in the novels and the movie. Love Finnick so much. He makes the series for me. My favorite character is Katniss, I love all of Elizabeth Bank's costumes too. My favorite part of the hunger games is the when Katniss tends to Peeta in the cave-shows she does care about him. Hard to say, it's such a great series! Cinna and his fashions is one of my favorites, though. I like Chic on fb! I like Crimson on fb! I probably have a lot of fave parts but I really enjoyed Katniss and Rue's relationship... even when they met up in the trees and tried to help each other. Rue was really the epitome of friendship and good nature in that hunger game! When they draw the lottery. I really like the fact that the story is a lot more complicated than I first thought. Even if I don't really relate to any particular character I appreciate how strong and inspiring Katniss sometime is. My favorite part is the suspense of the arena. Finnick is my favorite character from the Hunger Games. My favourite part of the hunger games was when rue had died. Not because I was happy she had died. Instead, I had cried and it was the only part that had really gotten me that emotional. Cinna is my favorite character. I must admit, when I read the books, I pictured him as much more flamboyant, more like Ceasar. Lenny Kravitz makes him very believable. i always like the scenes wherein katniss will show off her dress! Now I follow =o).Lovely giveaway,so generous of you,thank you for the chance to win it.Have a great weekend. My favorite part of the Hunger Games movies is when they go to the capitol city. I love seeing the makeups and fashions. Its what I hoped it would be. Katniss, I love her THIS MUCH! 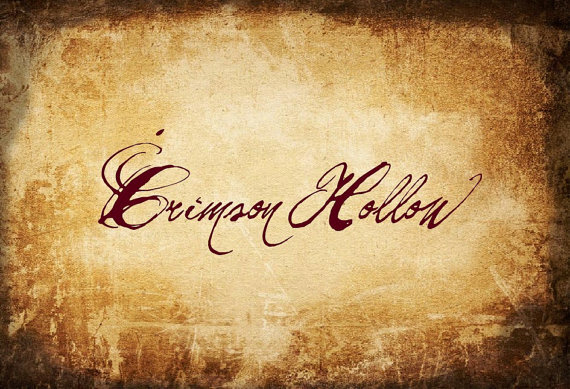 Liked Crimson Hollow on Facebook as Areeba Siddique!